Instantly speak another language, voice to voice, with SayHi Translate for iPhone and iPad. With over 100 languages available, can you imagine talking in one language and immediately hearing yourself speaking another language? 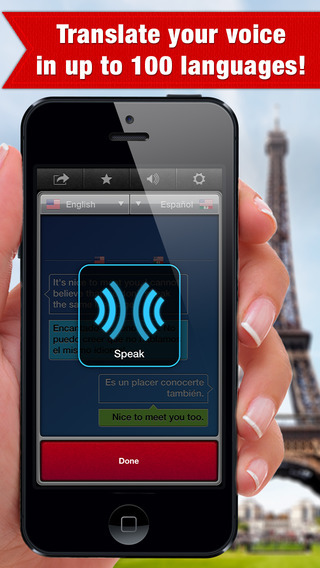 SayHi Translate is an award winning app that helps you break down language barriers. Talk face to face in over 100 languages with our magical technology. Put an interpreter in your pocket.